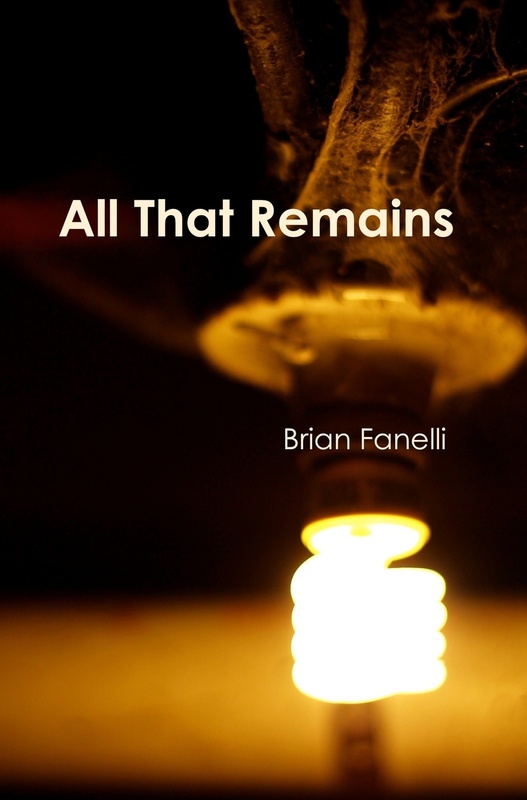 Alum Brian Fanelli has just released a new poetry book, All That Remains (Unbound Content). Here, in this Q&A, we catch up with Brian about the new collection, as well as some of his current events. Tell us about your new book, All That Remains. The process of All That Remains started while I was completing my M.F.A. at Wilkes. I had poems that ended up becoming my chapbook Front Man, but then I had poems that didn’t fit that manuscript and its very specific theme. So, after I graduated from Wilkes, I continued writing and revising poems and, eventually, I had enough commonality between the poems to build a full-length collection. It was a process that took five or so years. When the book was done, I researched different publishers and presses and discovered Unbound Content through Poets & Writers. Not only do I like what they publish, but also the way they interact with writers. It’s been a great process leading up to this point. Were some of the poems in the book previously published in journals? Where might readers find a few samples of your work? About 3/4 of the poems first appeared in other publications. Some of the poems appeared in Boston Literary Magazine, Portland Review, Third Wednesday, Harpur Palate, vox poetica, and a lot of other print and online journals. Some of the links can be found on my blog, All the Right Notes, or through a simple Google search. Will there be a launch event anywhere? Any other events and readings planned? [I had] a launch party on Friday, Oct. 25 at 7 p.m. at the Vintage Theater in downtown Scranton. I am reading at the Seeley Memorial Library at Lackawanna College on Friday, Nov. 1 at 6 p.m. and at the Hoyt Library in Kingston, PA Nov. 18 at 6:30 with Amye Archer and Rick Priebe. Then I have several readings out of the area, including in New Jersey, New York City, and other parts of PA. I’m reading at the KGB Bar on January 8 as part of the At the Inkwell reading series, which was launched by Monique Lewis, a Wilkes alum. On Dec. 8, I’m reading with Dr. Lennon and Ross Klavan, two Wilkes faculty members, at the Belmar Arts Council in New Jersey. This reading series was started by Pat Florio, another Wilkes alum. I’m grateful to have made these connections while at Wilkes and thrilled that so many of the program’s current students and alumni are hosting reading series in their communities. All of my other reading dates and events can be found under the events section of my website, www.brianfanelli.com. Congrats, too, on the NEPA BlogCon nomination for your blog. What do you hope to accomplish with your blog? Where else can readers find you online? My blog started as a way to have a conversation about poetry and post various tidbits and news about what’s going on in the poetry world. I also use it as a space to post information about my own writing process and events happening in the local poetry community. There is a link to the blog on my website, or through the direct website: http://brianfanelli.wordpress.com/. Online shoppers will find All That Remains available at Amazon and Barnes & Noble.